I am enjoying putting together different stones and then doing this light wire wrap around them! These earrings are so pretty and eye capturing! They’ve been a huge hit with my family and friends. 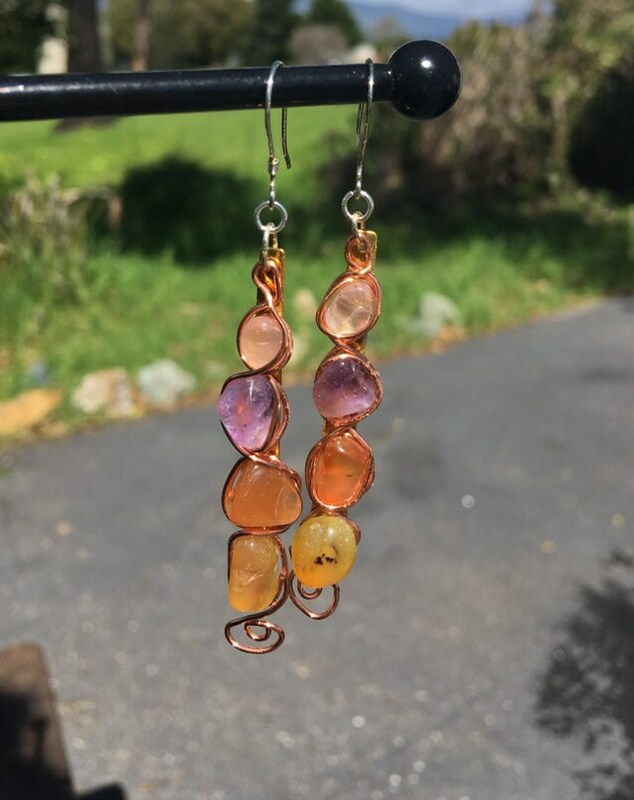 This pair has citrine, amethyst, rose quartz and agate. 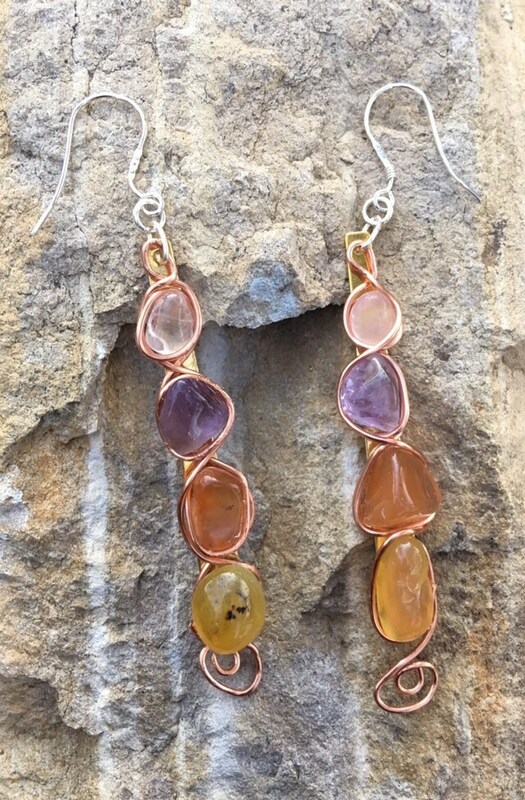 There is rose gold colored wire wrapped around them. Earrings are about 2 1/4” long. Earring hook choices available at checkout. *Shown are .925 sterling silver hooks. These will be wrapped in tissue paper, put in a box and mailed First Class in bubble mailer.